gah i hate toe socks! they creep me out!!! 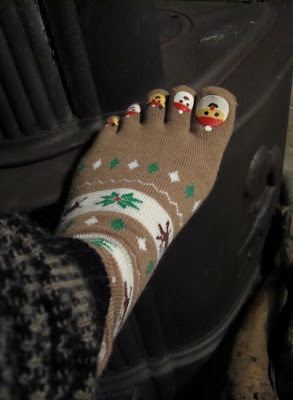 aw - the santa toes are too funny!